The high-school student had left a suicide note crediting Osama bin Laden for the 9./11 attacks and praising it as a justified response to actions against the Palestinians and Iraqis, and said he was acting on behalf of al Qaeda, from whom he'd turned down help. This accident was an apparent suicide. The student's instructor left him alone in the plane, to perform a preflight inspection, but the student started the engine and took off without permission. 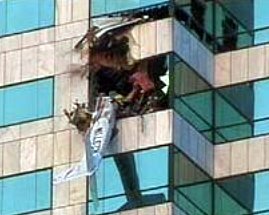 The authorities were notified and the Coast Guard issued repeated warnings from a helicopter, but the Cessna continued until it collided with the Bank of American building between the 28th and 29th floors of the 42-story building. The FAA issued a Flight Standards Service notice proposing 11 recommendations for possible security enhancements around airports. These enhancements included having separate ignition and door lock keys for aircraft; limiting student pilots' access to aircraft keys until they reached a specific point in their training; keeping student pilots under supervision of a flight instructor at all times; establishing positive identification of any student pilot before every flight lesson, and requiring a parent or legal guardian to co-sign enrollment applications for students who were not legal adults. Also for aircraft owners to take appropriate steps to secure unattended aircraft. 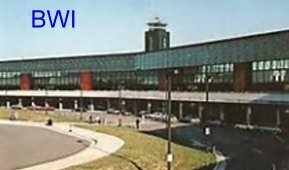 April 27, 2002 - A new Terminal Radar Control Facility (TRACON) began providing air traffic approach and departure control for the entire St. Louis metropolitan area. 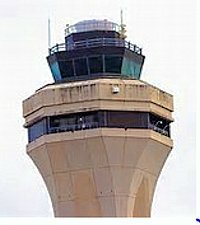 Airport traffic control towers supported by the new TRACON, included St. Louis Lambert International Airport; Spirit of St. Louis Airport (Chesterfield, MO); St. Louis Regional Airport (Alton, IL); St. Louis Downtown Airport (Cahokia, IL); and Scott Mid-America Airport (Belleville, IL), a joint-use facility also responsible for directing traffic for Scott Air Force Base. May 10, 2002 - FAA issued a proposed rule that would reduce the minimum vertical separation between aircraft from the current 2,000 feet to 1,000 feet for all aircraft flying between 29,000 and 41,000 feet, thus allowing more airplanes in the same volume of airspace. This rule would increase the routes and altitudes available and lead to more efficient routings that would save time and fuel. 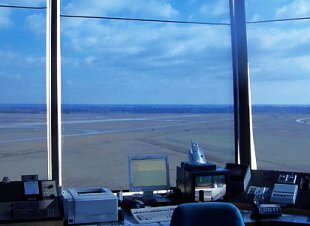 May, 2002 - The Fort Worth Air Traffic Control Center became the first facility to go operational with the Weather and Radar Processor (WARP) on the controller displays. 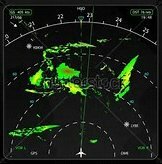 WARP displays Terminal Doppler Weather Radar information directly to controllers on the same screen as aircraft position data, thus helping controllers to reroute air traffic to avoid areas of severe weather. September 13, 2002 - FAA announced that the former NTSB Chairman, Marion Clifton Blakey, will be the 15th FAA Administrator She was the second Administrator who was not a licensed pilot. Prior to being named FAA Administrator, she served as chairman of the National Transportation Safety Board (NTSB). Marion Blakey received her bachelor's degree, with honors in International studies, from Mary Washington College of the University of Virginia. She also attended the Paul H. Nitze School of Advanced International Studies at Johns Hopkins University for graduate work in Middle East Affairs. Ms Blakey is president and chief executive officer of Rolls-Royce North America. Prior to joining Rolls-Royce, she served as chief executive of the Aerospace Industries Association (an American defense industry trade association). The NTSB determined that the likely cause of this accident was the crew's failure to maintain adequate airspeed, which led to an aerodynamic stall from which they did not recover. 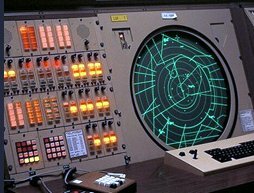 There was a problem with the airport's VHF omni directional range (VOR). The day after the crash FAA pilots tested the VOR, and when they flew the approach without their automatic pilot engaged, the VOR repeatedly brought them about a mile south of the airport. The signal guided them one to two miles left or south of the runway - the same direction Wellstone's plane was heading when it hit the ground and exploded into flames. 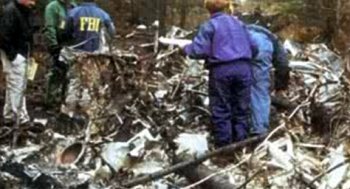 Debris from the crash site included both the plane's engines, which suffered blade damage, suggesting that the engines were running when the plane crashed.  Additionally, significant discrepancies were found in the captain's flight logs, indicating he had probably greatly exaggerated his flying experience. Other pilots at the charter company said both pilots had displayed below-average flying skills. 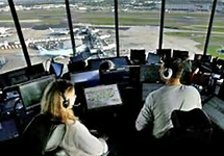 December 8, 2002 - FAA commissioned a new air traffic control tower at Miami International Airport. The tower is built to withstand 150-mile-per-hour winds generated by a hurricane. At 333 feet, the Miami tower was the second-tallest in the U.S. after Orlando international's 345-foot tower. After takeoff, the nose of the Beechcraft pitched up from 7 degrees to 52 degrees by the time it reached 1,200 feet. The airplane rolled and struck the corner of a large USAirways hangar. Two days earlier, maintenance had been performed on the airplanes' elevator tab. The NTSB listed the probable cause as the airplane's loss of pitch control during takeoff. The loss of pitch control resulted from the incorrect rigging of the elevator control system, compounded by the airplane's aft center of gravity. 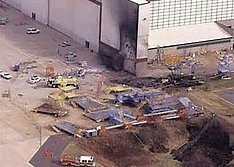 Contributing to the accident was (1) Air Midwest's lack of oversight of the work being performed at a maintenance station; (2) Air Midwest's maintenance procedures and documentation; (3) Air Midwest's weight and balance program at the time of the accident; (4) the Raytheon Aerospace quality assurance inspector's failure to detect the incorrect rigging of the elevator system; (5) the FAA's average weight assumptions in its weight and balance program guidance at the time of the accident; and (6) the FAA's lack of oversight of Air Midwest's maintenance program and its weight and balance program. 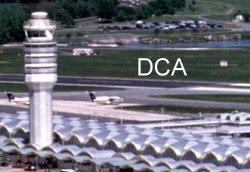 February 10, 2003 - FAA expanded the restricted airspace over Washington, D.C.. 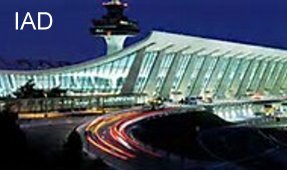 It now covers a 30-mile radius from each of the region's three major airports: Reagan National (DCA), Baltimore-Washington International (BWI), and Dulles International (IAD). 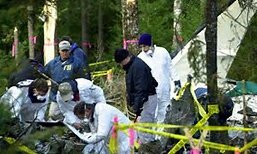 July 30, 2003 - FAA dropped an ATR42-300 regional transport airplane 50 feet to the concrete below as part of its efforts to collect the empirical data needed to set crashworthiness standards for commuter aircraft. Data collected from this test and previous tests at the William J. Hughes Technical Center would help researchers to assess the impact response characteristics of the airframe structure, seats, overhead stowage bins, fuel tanks, and the potential for occupant injury. 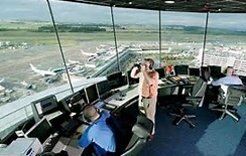 December 9, 2003 - FAA and the National Air Traffic Controllers Association (NATCA) signed a 2-year contract extension that expanded pay-for-performance to include air traffic controllers and provided potential savings of several million dollars. The contract extension increased the number of employees whose pay was tied partly to performance from 37% to 75%. 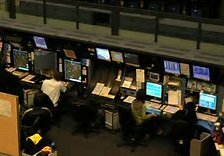 The pay for performance compensation system for over 15,000 air traffic controllers was based on safety and capacity targets set forth in FAA's Strategic Flight Plan. The targets included reducing operational errors and runway incursions and increasing on-time performance and arrival efficiency rates. They also agreed that the FAA could adjust staffing levels based on actual workload. This contract action was initiated following direction from Congress and the Department of Transportation Inspector General to exert greater cost control over air traffic control operations. December 18, 2003 - FedEx Express Flight 647, a McDonnell Douglas MD-10, (3 engine, wide-body aircraft) from Oakland, California to Memphis, Tennessee, veered off the runway upon landing after a landing gear collapse and catches fire at Memphis International Airport. Two crew members and 5 passengers escape with only minor injuries. The NTSB found that the first officer did not properly line up the plane before touchdown, nor did she slow the plane adequately before touchdown, so the jet came down excessively hard, and due to the crosswind, the right wing suddenly lowered approximately 6 degrees. This was beyond the design capabilities for the right main landing gear, and it snapped as a result. The NTSB also cited the captain for failing to check the work of the first officer.